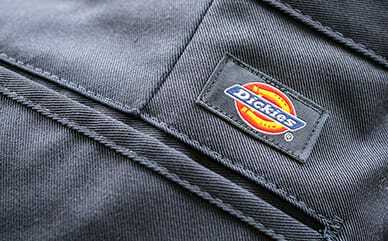 Break onto the scene in your best skate clothes with the Dickies Girl Worker Wide Leg Skater Pants. Made from a twill fabric, it promises to stay durable enough for slips and falls. The trouser and back welt pockets leave enough utility where you can stay hands free while you ride. Washed for softness, these pants are soft with great shrinkage control.